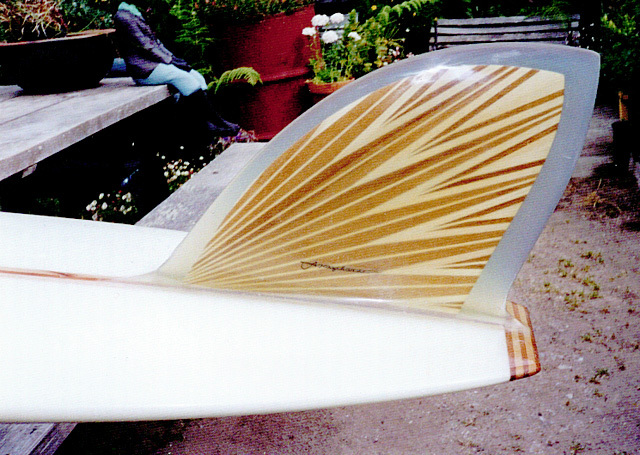 Only a handful of shapers in the world has this type of skill and craft -- and you're looking at one. 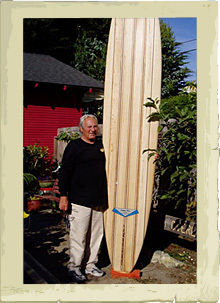 JOHNNY RICE. 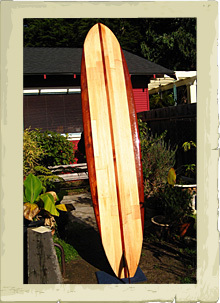 Call or email for details and pricing. 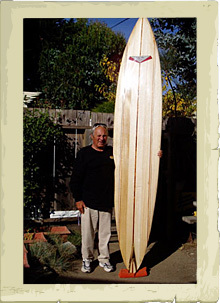 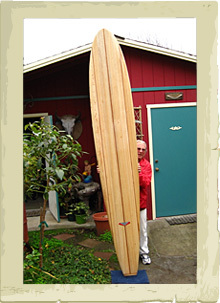 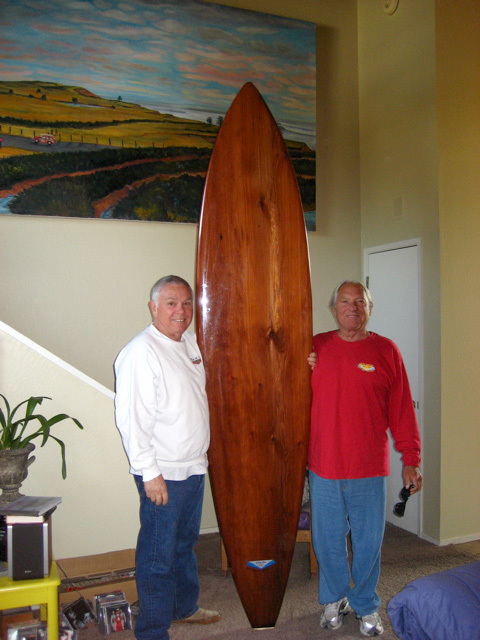 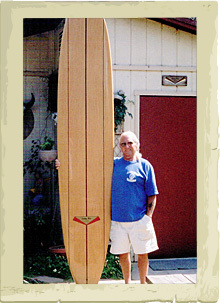 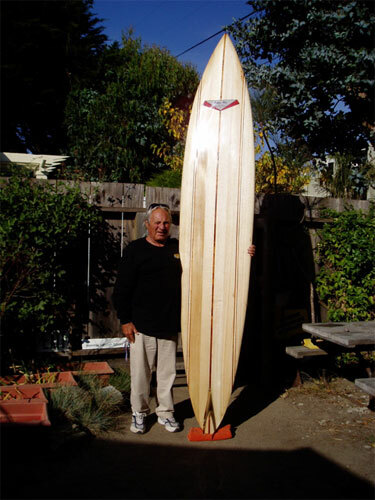 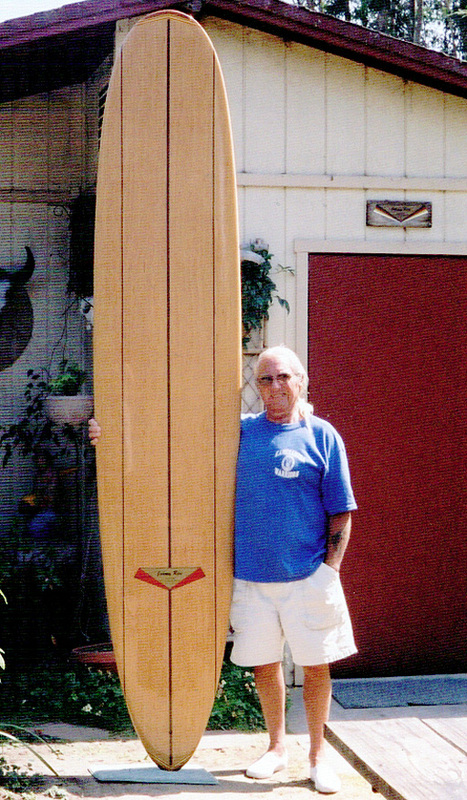 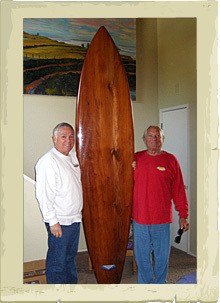 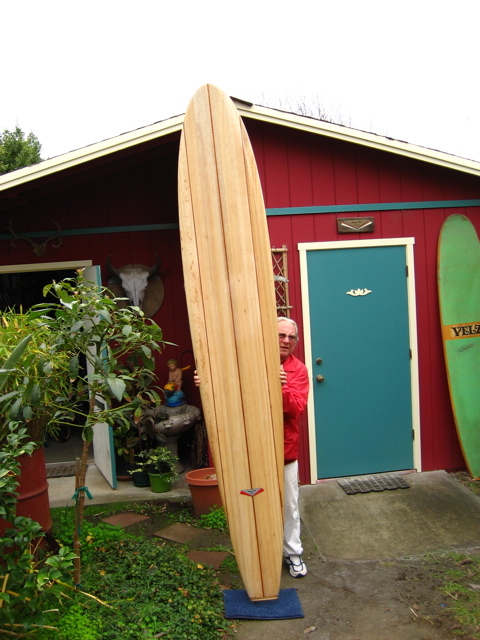 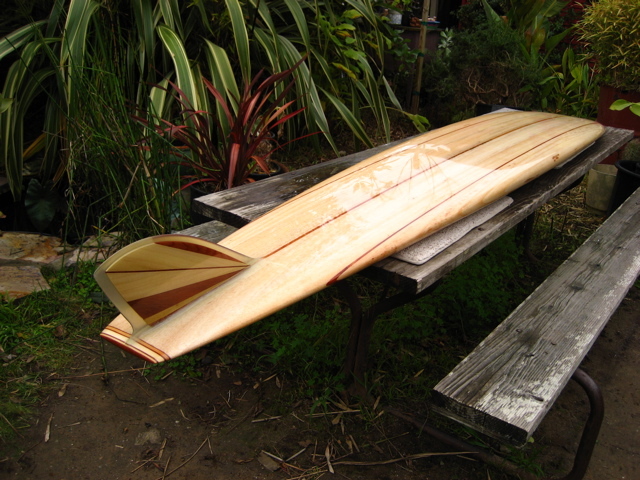 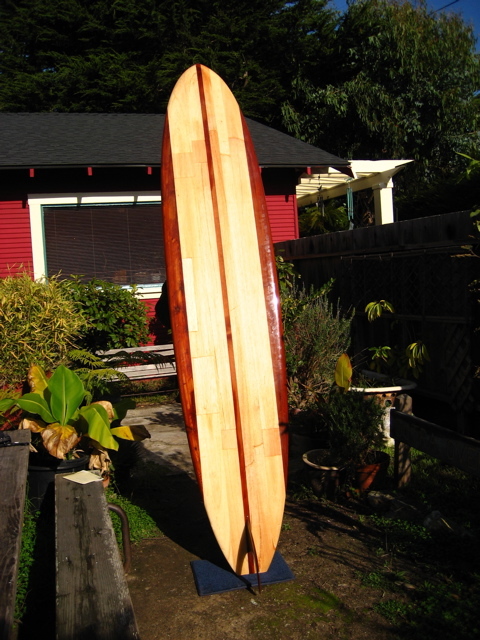 Click here to see how Johnny makes wood boards... and click here to see some more pics from a redwood board that he made. 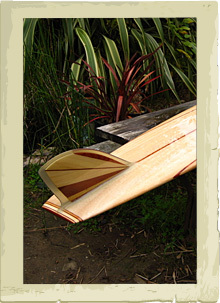 Bottom of the MAKAHA BIG WAVE BOARD. 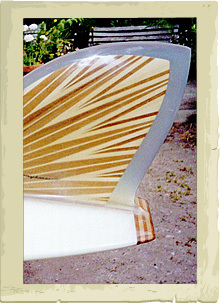 Fin and wood tail block.